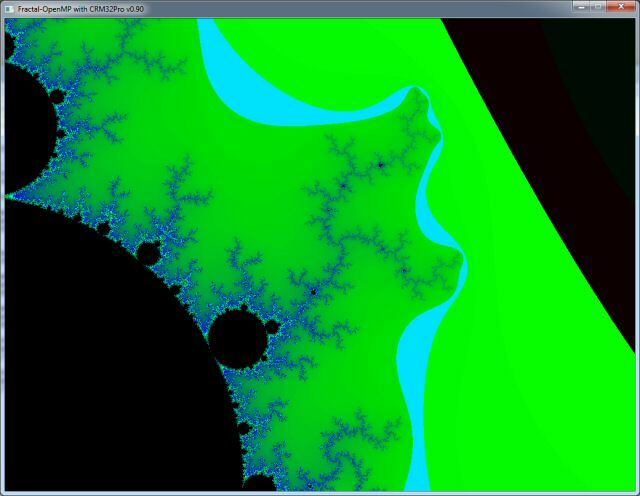 Small example developed in 2012 of creating fractals with OpenMP and using CRM32Pro as video output. 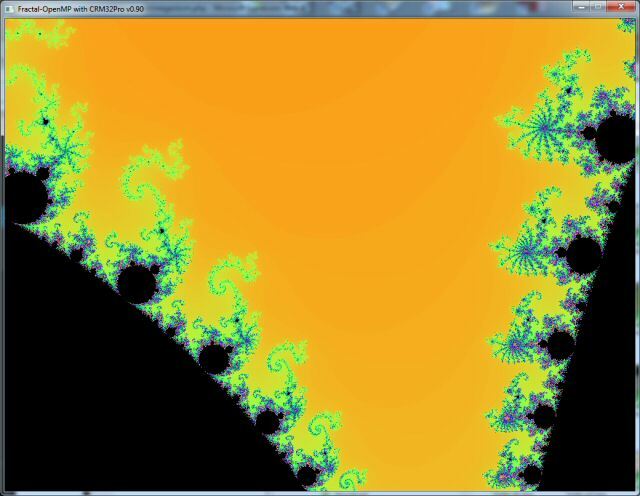 Renders the Mandelbrot set but other sets can be easily added. 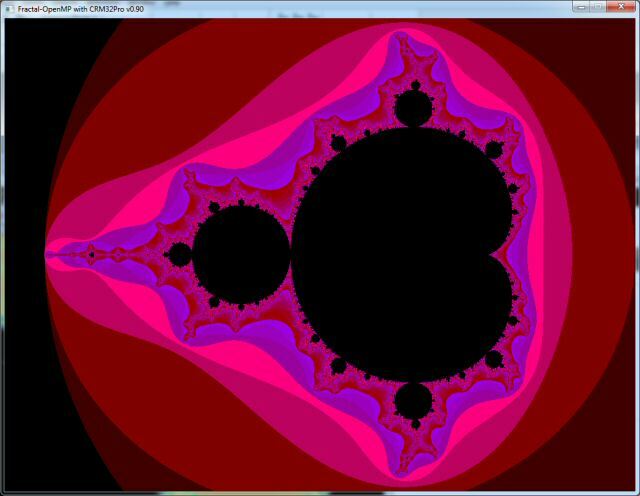 Mandelbrot set with/without OpenMP. Use Up/Down keys for modifying it. 6 different color maps and extensible to more custom ones. Use Left/Right keys for changing the color map. Can move and/or zoom any fractal area. Maximum fractal iterations can also be modified on real time using ‘i’ and ‘o’ keys. Available for Windows. Also compiles on Linux (make file include) and MacOS X (make file not provided).